The condo recently (December 2018) has all brand new beautiful tile flooring throughout the living area including the large outdoor lanai so super easy to keep your condo clean. Another great addition is a new whisper quiet Mitsubishi split AC system to keep the condo nice and cool. 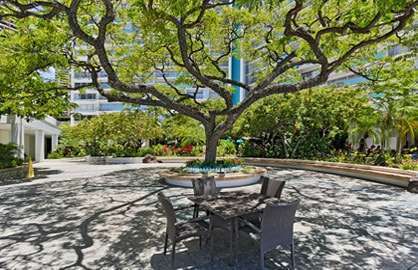 Completely remodeled to high standards, this luxury unit has everything the travelling businessman, executives or couples with kids would need. This unit has 2 double beds and a new sofa bed with memory foam mattress..
High speed internet, flat screen TV, dvd, granite kitchen with breakfast bar, stainless steel appliances, granite bathroom and a comfortable living room area for relaxing. 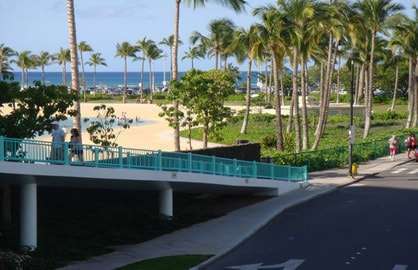 Ilikai 1818 - This is the second time we have stayed at the Ilikai in 18months. 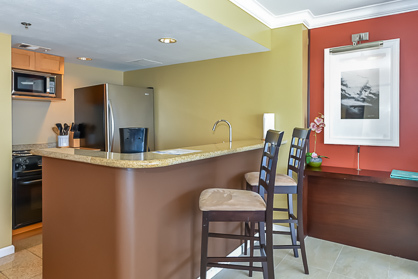 We love the location and the amenities. The room was great, clean and the most amazing view. We will be back. 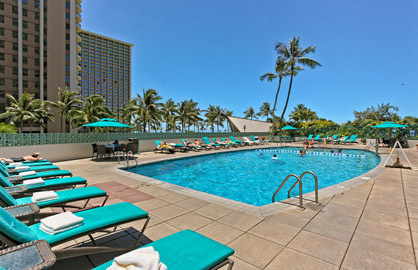 Ilikai 1818 - Our 2 week stay in march was a wonderful experience and the condo unit that we chose (#1818) was ideal. 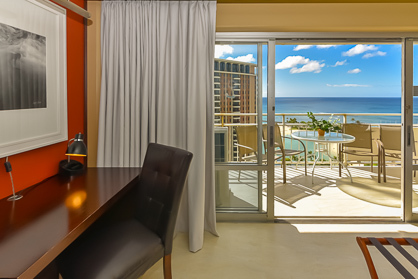 it would be truly difficult to find a better location for walking, beach activities, swimming or simply enjoying our lanai. 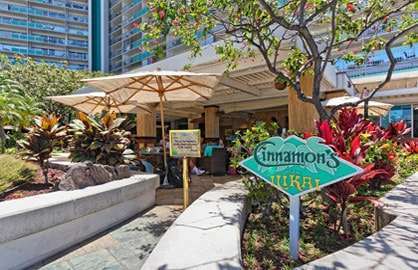 the ilikai soon began to feel like home and we especially appreciated the ability to stay 'at home' rather than always dining out at the end of a busy day on the beach and in the surf. Should we do this again next year?......my wife says, "Book it, Dan-O"
We stayed in unit #1818 in June 2016. 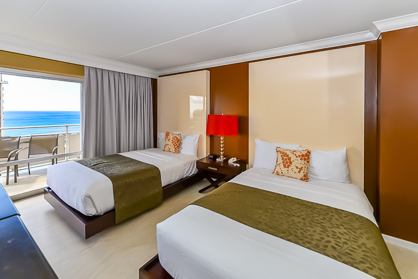 Clean, comfortable, very nice ocean view and well equipped. 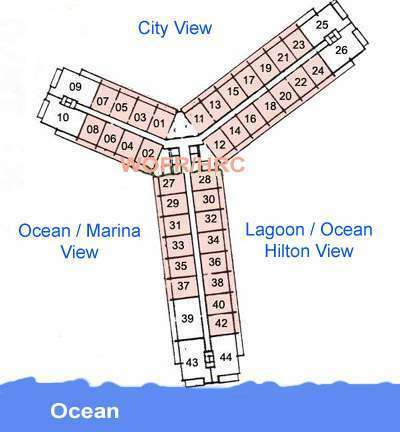 Great beach front location. 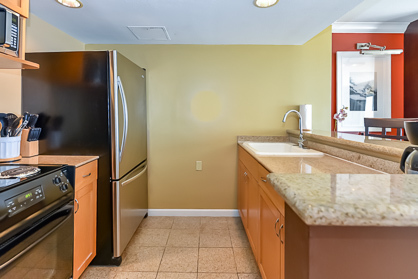 Walking distance to restaurants and stores. Would recommend and stay again. 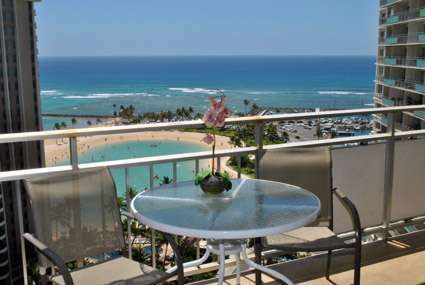 We found Ilikai 1818 to be a wonderful condo for my wife & I. 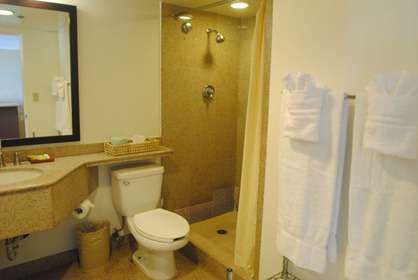 It is very well maintained and contains all the modern conveniences you will need. 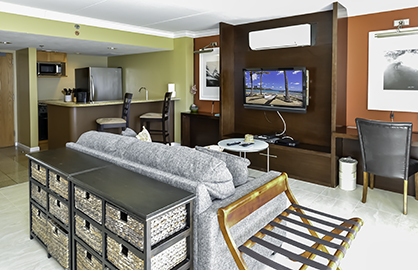 Great kitchen appliances, free wifi, good bathroom, comfortable bed AND a great view! You have the choice of swimming in the pool, lagoon or beach at your fingertips. 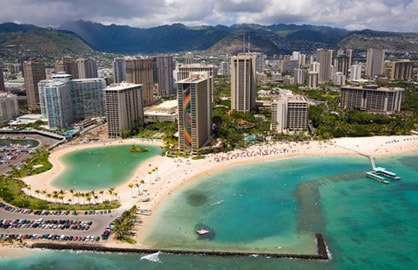 There are plenty of local restaurants and cafes and for anyone of moderate fitness downtown Waikiki, with all its eateries and shops, is a pleasant stroll away. Don't forget to look out for turtles as you wander along the waterfront! My wife and I stayed in Ilikai Unit 1818 for two whole weeks and loved every minute of it. 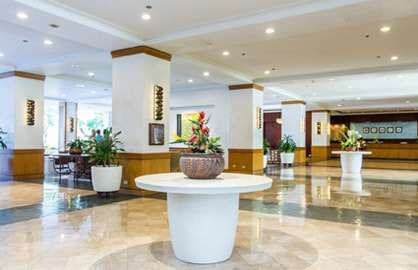 Spacious, clean, lovely historical building (think Hawaii 50), fantastic location. Beautiful white bedding, plenty of white fluffy towels, great sized TV (if you ever sit still long enough to watch it). There is a laundry on every floor, a mini mart downstairs and a multitiude of shops and restaurants. The lanai is LARGE - perfect for pre-dinner drinks or simply sitting and enjoying the stunning view across Hiltons Lagoon and the ocean. 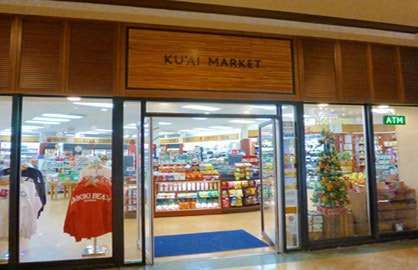 A very easy walk to Ala Moana shopping centre as this unit is at the quieter end of Waikiki Beach right next to Hilton Hawaiian Village. The pictures are exactly what you get. No hassles, quiet all the time, easy to use entry to unit and great staff, We definitely recommend it - great value for money. 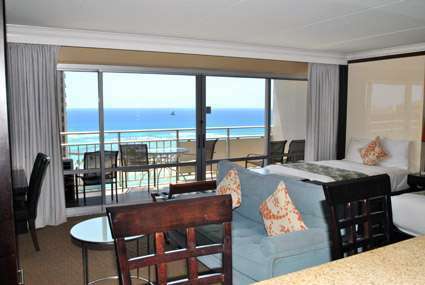 Loved our stay in Ilikai Room 1818. Very clean and comfortable. Stayed May 2015. Lovely view of the beach. Wished we had booked a longer stay. Will tell our friends. 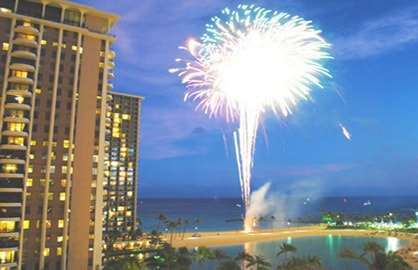 Stayed September 2014 in Ilikai 1818. Unit clean and well maintained. Access to unit great. Easy access to beach. Would recommend and would stay again. Ilikai 1818. 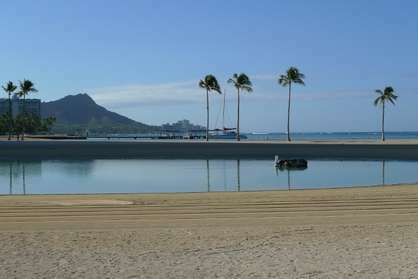 Great beachfront location, easy access to Waikiki and easy access out. Well equipped kitchen, lanai was perfect spot for breakfast, beautiful views! Hi ! 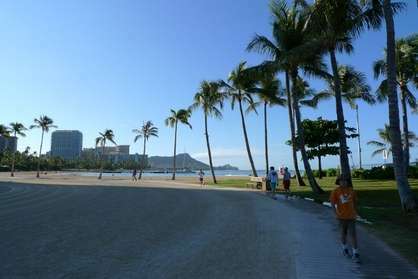 We just got home after a superb vacation in Honolulu in unit 1818. The accommodation was a perfect fit for our needs. The room was clean, well appointed, with all the gadgets and tools we needed for the kitchen too. 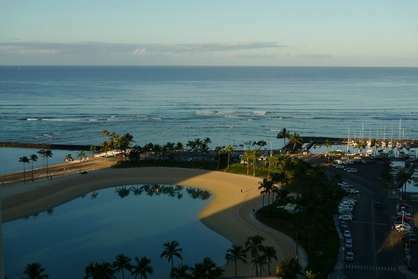 The view facing the lagoon and ocean was stunning & just as shown in the pictures. Entry to the unit was easy. The free long distance phone helped us stay in touch with family over the holidays. We are ready to book again! We had a fabulous time. No disappointments at all! Thanks! Just want to say my family and I stayed at Ilikai Unit # 1818 and we had a fabulous time! The condo was clean and very open. 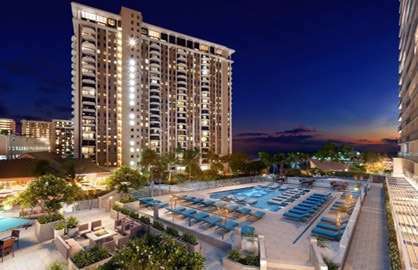 The view is spectacular overlooking the beach and the pools. Surprise treat, we got to see the Luao show every night from our deck for free. It was walking distance to everything! The condo was clean when we arrived! The beds were comfortable,Location was perfect close to shops & restaurants. We had friendly service during our stay! Greetings from Cape Cod. We are writing to tell briefly about our stay at the Ilikai over Thanksgiving. This was our first trip to HI. We stayed in unit 1818 and we were not disappointed. Everything was as or better than advertised. No bad surprises. The room was great, including the bath, kitchen, and TV. The beds were fine. The view is spectacular. 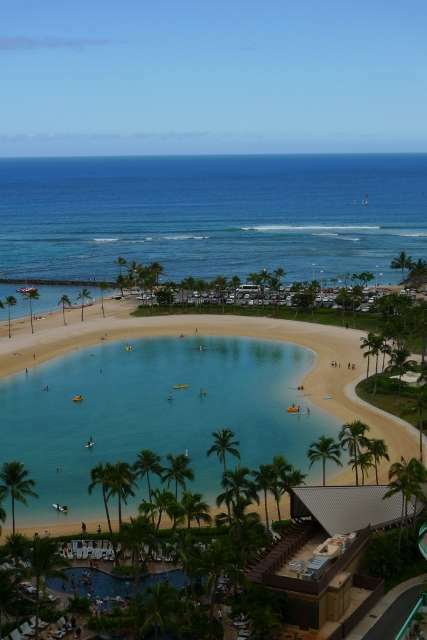 We could see the kids below at the pool, out surfing at canoes or over at the lagoon. The staff was friendly, mellow and professional, and we were granted a delayed checkout to prepare for the long trip back to MA. We were able to bring our surfboards up to the room via the wet elevator without hassles. We've been burned before by renting what looked like great condos on the internet that turned out to be turkeys. The Ilikai is the real deal. We stayed the week of t-giving and had a blast. Don't hesitate. Concentrate on the other details of your trip, like spending the extra $$ on the bigger airline seats and your car rental, etc. I must say that the trip was awesome. The condo we booked 1818, was wonderful. Everything we could have expected. The view was spectacular and exactly like the website showed. The entire stay at the Ilikai was great. 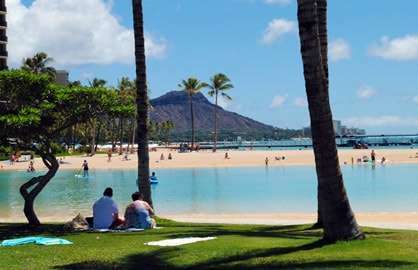 We enjoyed the close proximity to the lagoon and the beach not to mention the restaurants and the shops. Thank you again for making our stay in Hawaii a great one. 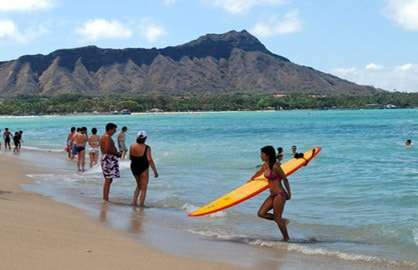 If the opportunity presents itself, I would go back to Hawaii and I would also use your site again. There were 11 of us staying in several of the condos and we all agreed that we would recommend you to all our friends/family etc.